The burned-out Lowell house where eight people died. 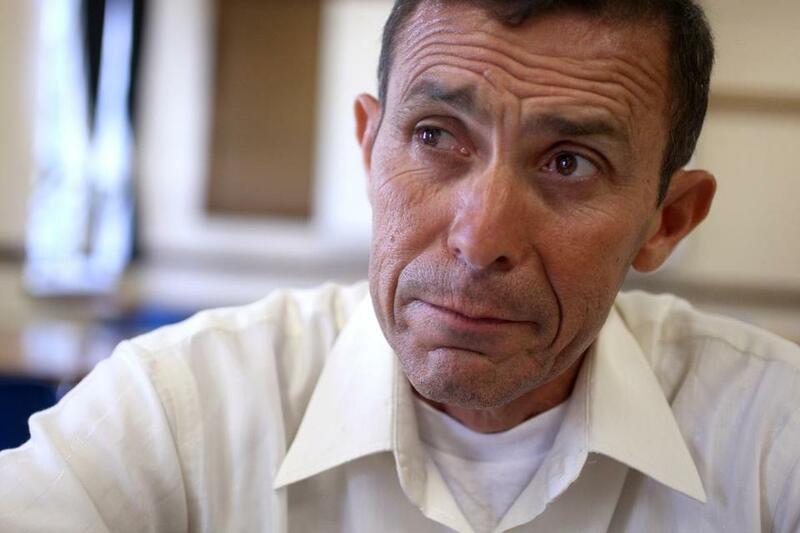 For the 30 years Victor Rosario has been behind bars, he steadfastly denied setting the Lowell fire that killed eight people, five of them children, in 1982. Twice he has sought a new trial and twice he has failed, until this week. 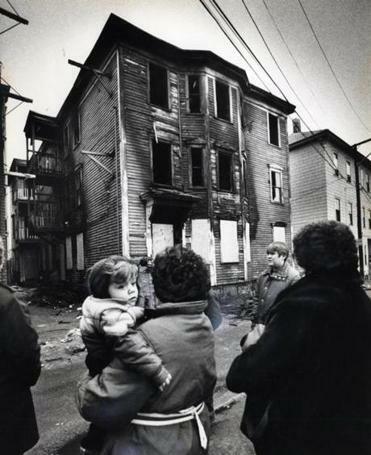 Rosario, 57, was convicted in 1983 after confessing that he and two other men had used Molotov cocktails to set the fire, the deadliest in Lowell’s history. But in a 99-page decision, Tuttman ruled that new evidence of potential flaws in the 1982 investigation, along with questions over whether Rosario’s confession was given voluntarily, warranted a new trial. “I conclude that the defendant has met his burden to establish that justice was not done in this case,” she wrote. Andrea Petersen, a lawyer who has represented Rosario for eight years, said Rosario was overjoyed by the decision. Rosario will seek bail at a hearing Thursday. He and his family were not available to comment Wednesday. Middlesex District Attorney Marian Ryan’s office said it was reviewing the decision and considering whether to appeal. Meanwhile, Harold Waterhouse, a lead investigator in the case in 1982, said Wednesday that he stood by his conclusions, despite new expert testimony that has cast doubt on whether the fire was arson. In June 2010, a Boston Globe article written by reporters at the New England Center For Investigative Reporting concluded that the investigation and prosecution of Rosario had been compromised by a “series of grave shortcomings” that suggested he was wrongfully convicted. The news account found that no accelerant or physical evidence of the three Molotov cocktails was discovered at the scene and that Rosario’s original court-appointed trial lawyer offered a weak defense. The lawyer was facing vehicular homicide charges at the time of the trial, a situation he admitted was a distraction, according to the article. Rosario’s case is the latest of several arson convictions overturned in recent years amid doubts about the initial investigations. Specialists say that evidence once considered a definitive sign of arson has more recently been shown to occur in accidental fires and that investigators at the time routinely relied on flawed assumptions. The new evidence “demonstrates the misconceptions the investigators had at the time with respect to fire science,” she wrote. At Rosario’s trial, experts testified that the fire, which engulfed a three-decker within minutes, was intentionally set with flammable liquids and originated in at least two places. But at Rosario’s hearing for a new trial in March, a specialist who reviewed the case said the evidence was equally consistent with an accidental fire. “The investigators in this case were operating under that misconception in interpreting their observations of burn patterns on the hallway and kitchen floor as being consistent with the use of a liquid accelerant,” the decision stated. Another specialist testified that the type of Molotov cocktails allegedly used in the fire, 12-ounce beer bottles containing flammable liquid, were not powerful enough to ignite such a large fire. John Lentini, a leading fire investigator who testified for Rosario’s defense, said Wednesday that the fatal fire “could have been an accident” and that investigations from this era were routinely flawed by contemporary standards. “We’ve stopped being cops and started being scientists,” he said. But Waterhouse, the first lead investigator on the case, maintains that the Lowell fire was intentionally set. 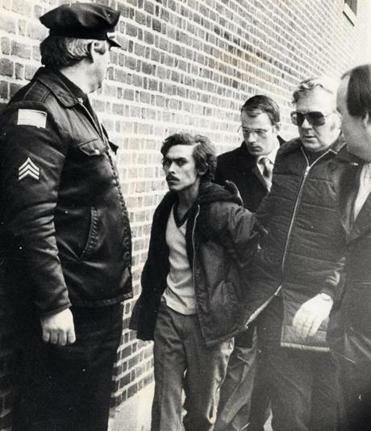 Victor Rosario after his arrest. Waterhouse, 83, said he and his partner had a strong reputation as investigators and conducted a thorough review of the scene before concluding the fire was intentionally set. In her decision, the judge ruled that Rosario’s confession may have been involuntary, citing evidence that police coerced him and that he was suffering from alcohol withdrawal. Waterhouse, who retired in 1989, said he was frustrated by the second-guessing of his investigation and added that he always feared the conviction would be overturned. “I thought sooner or later they’ll hit the right judge,” he said. Waterhouse said Rosario refused to testify against the other two men who were allegedly involved and the charges against them were dismissed. The men, who were brothers, have since died. Waterhouse said he has little interest in testifying at a new trial. He said he can still picture the four bodies, a mother and her three boys, found on the first floor. In addition to Adelaida Ferrer and her three children, Augustine, Xavier, and Joel Colon, the fire killed Ephraim Cortez-Mendes, his wife, Nancy Velasquez, and their children, Ephraim Cortez Jr. and Jose Luis Cortez. Rosario was at the scene of the 1 a.m. fire and tried to rescue people inside, his lawyers said. But after punching through a front window, he was driven back by flames. He was treated at the scene before being taken to the hospital. In his confession, Rosario said he and two friends set the fire as revenge for a botched drug deal. But the translator who assisted in the interrogation now says Rosario was delusional at the time. A doctor who reviewed the case concluded that Rosario, a heavy drinker, was experiencing symptoms of alcohol withdrawal during interrogation.